Kruzer™ is M&R’s most affordable entry-level manual screen printing press. 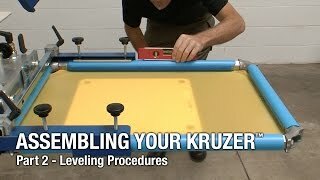 Built with M&R’s rugged construction and innovative design, Kruzer includes numerous proven design features, including tapered-roller-bearing-supported upper and lower carousels, a precise micro-registration system, machined center shaft, and three-point pallet leveling system. Kruzer’s unique lever-adjusted off-contact system operates vertically, eliminating the need for a separate angle adjustment. Kruzer is offered in a 6-color/4-station model with a maximum image area of 41 x 46" (16" x 18") and a standard pallet size of 38 x 41 cm (15” x 16”). It’s designed to fit through a 78 cm (31") doorway when disassembled. Side screen holders and solid aluminum, low-profile, rubber-coated pallets are standard. M&R’s System Integration design allows Kruzer to integrate seamlessly with the easy-to-use Tri-Loc Rapid Registration System, the industry’s most efficient way to set up and register screens on both manual and automatic screen printing presses. Kruzer’s maximum screen width—58 cm (23”)—also fits most automatic presses. 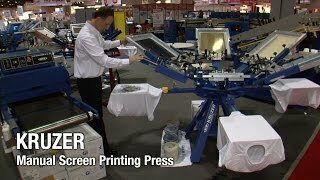 Kruzer delivers unprecedented quality, performance, and value in a manual press. 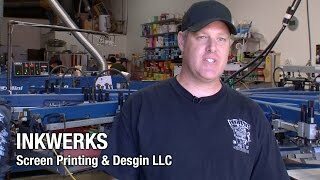 It’s ideal for startup screen printing shops and for small and mid-size automatic screen printing shops in need of an exceptionally affordable high-quality manual screen printing press for sampling and small runs. Kruzer ships disassembled and boxed for onsite assembly, but can be ordered fully assembled and crated (additional charges apply). Order Kruzer disassembled and save on the purchase price, crating, and shipping. And assembly is unbelievably fast, especially with the help of M&R’s comprehensive assembly video. The press can be assembled by one person, though it’s easier with two. And the fastest recorded assembly time by two screen printers—who had never seen a Kruzer before—is an impressive 37 minutes. And almost any two people with a basic knowledge of hand tools (hex wrenches, crescent wrenches and hammer) should be able to assemble the press in well under two hours. 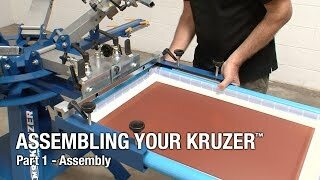 Kruzer assembly is a great way to get great savings on a great press. 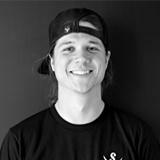 The Killer Black Shirts (KBS) training kit will teach you all you need to know about printing on black shirts, from artwork separations and screen preparation to printing positives—and everything in-between. KBS will stock your arsenal with knowledge so you can start turning out killer black shirts. Full-color instructional book filled with images, photos, general information, as well as step-by-step lessons from the creation of artwork all the way through the printed shirt. Two DVDs loaded with tutorial videos on all stages of the artwork and screen printing processes, including creating production-ready artwork, burning screens, setting up the press, choosing inks, working with mesh, and more. A sample black t-shirt with the full-color Tiger Imprint, a full-color Operation Screen Print vector logo back print, a one-color sleeve print, and one tag print. Five film positives to practice printing your own Tiger shirts.